"He was a lovely Gentleman. He was very polite and would just go mad. But that Was the other side of his lovely personality.". 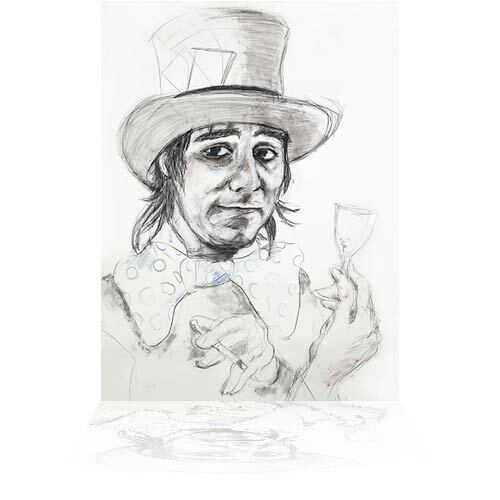 I painted his face from life, and latter added the mad hatter hat and the wine glass. He was a funny character. ".